Although I do love the new J. Crew flower girls dresses $300 is a bit much for a 3 year old dress that might never be worn again. 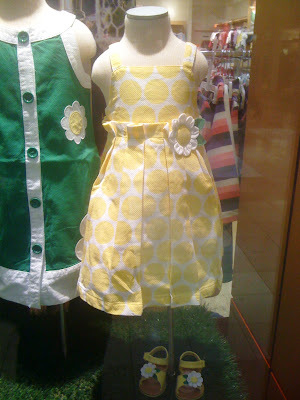 We purchased this very practical yellow polka dot dress from Gymboree with matching sunglasses, hat, shoes and even the flower basket. The dress is only $36. 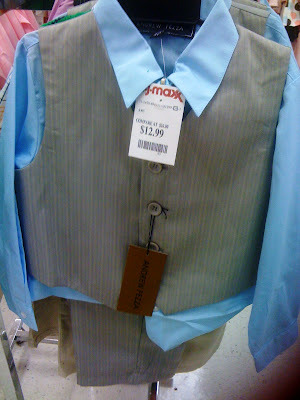 The ring bearer already had hs suit but I found these very nice suits at T.J. Maxx for less than $15 each! 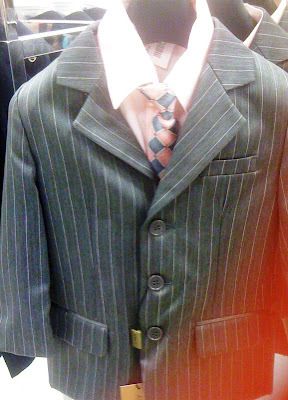 They looked to be very high quality and you cna't beat the price if they only wear it once.